Retailers today are increasingly investing in technology to streamline operations and improve the in-store customer experience. One of the most exciting innovations that has been “hitting the shelves” is the deployment of Electronic Shelf Labels (ESLs), which are the digital versions of paper price tags. Historically, retailers have had to spend a significant amount of time to manually change price tags. Nowadays, a cost-efficient alternative to changing paper price tags is to replace them with ESLs, which are digital price tags with LCD or e-ink displays that allow the retailer to quickly and accurately change prices from a centralized server. What once took hours of valuable time now takes seconds. In addition to allowing the retailer to centrally monitor and rapidly update prices, ESLs also enable the retailer to offer true dynamic and transparent pricing to its customers. Prices in store can now be aligned with prices online. Given its clear advantages over the status quo, the ESL market has been growing rapidly at about a 20% annual rate. Moreover, with roughly 200 million ESLs in stores today, it is today the single largest Retail IoT deployment. Even so, one of the limiting factors for ESL is the “power problem”. While digital labeling systems offer marked benefits over paper ones, the challenges of getting power to these labels are significant. Running electrical wires to shelves are cost-prohibitive. There is planning, installation, permitting, and maintenance involved with wires. As a result, ESLs today currently use what has historically been the next best thing for IoT devices, batteries. However, batteries have limited power and have a finite life. They deplete and need to be removed and replaced. For a big-box retailer with hundreds of thousands of shelf labels per store and thousands of locations, this could mean replacing a billion batteries a year. This means a high labor cost associated with replacing batteries, the financial burden of replacing batteries, and the large environmental toll of battery disposal. Wireless power eliminates all of these problems, while enabling new features due to the newfound availability of constant power. Brighter and more colorful digital displays, LED lights that assist the shopper, true dynamic pricing, product reviews, cross-promotional recommendations, point-of-sale functionality, and many more enhanced features provide additional value to both the retailer and the customer. Wireless power for ESLs is available today. 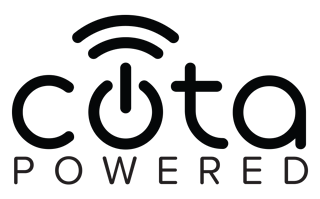 ESL manufacturers can license Ossia’s Cota Real Wireless Power system and begin integrating wireless power immediately. The receiver is microchip and can fit into even the smallest ESL design, and the transmitter can be built right into a retailer’s building itself, for example, as a ceiling tile. These Cota Tiles, when linked, can power an entire big box retail store of ESLs, even when customers are walking around and when ESLs aren’t in direct line-of-sight. 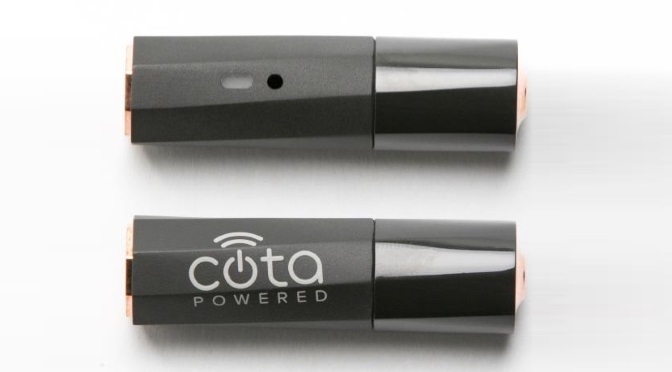 Wireless power for retail doesn’t end with electronic labels. Cota also powers digital displays, smart shopping carts, retail scanners, and more. That’s why Ossia is building a global ecosystem of wireless power manufacturers and system providers. The more people who work together on the same set of global wireless power standards, the more value and efficiency we provide. 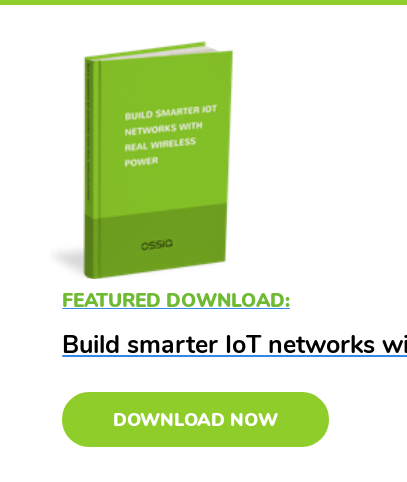 Ossia welcomes ESL vendors and Retail IoT manufacturers to join the Cota ecosystem. The age of Real Wireless Power is here.